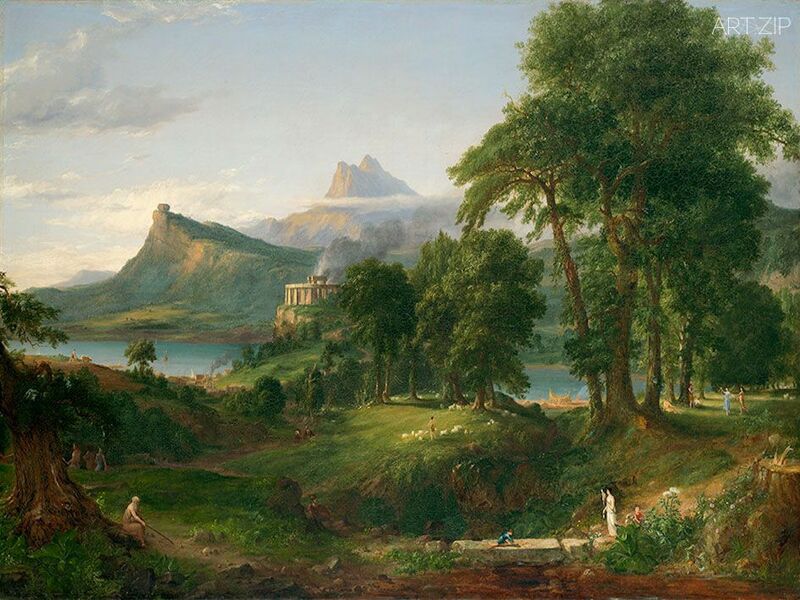 Known for epic vistas, dramatic natural settings, and imaginative landscapes, Thomas Cole’s work depicts nature at its most powerful and vulnerable. 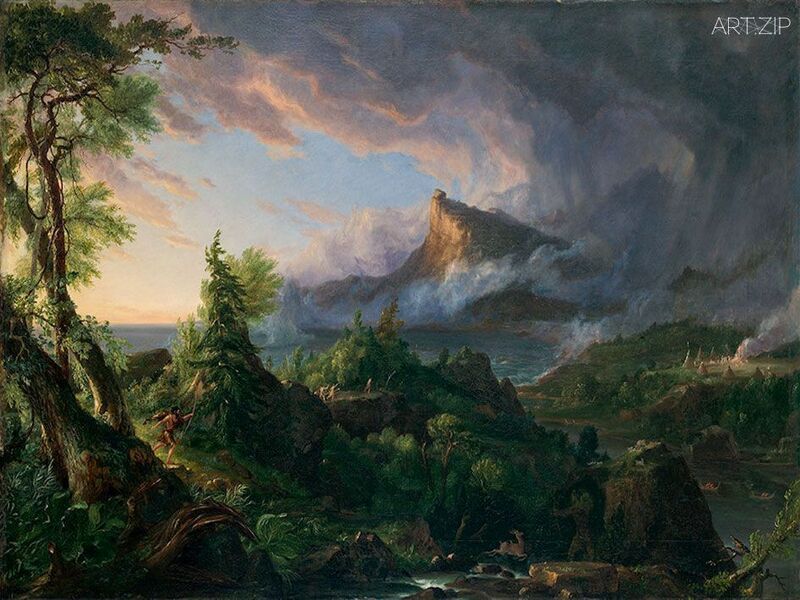 His paintings glory in the unique terrain of the American Northeast – largely still unspoiled in his time – while serving as a cautionary tale about the use of natural resources in an increasingly industrial age. 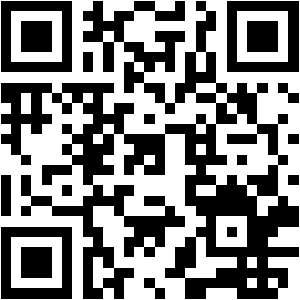 The exhibition includes 58 works, the majority on loan from North American collections. 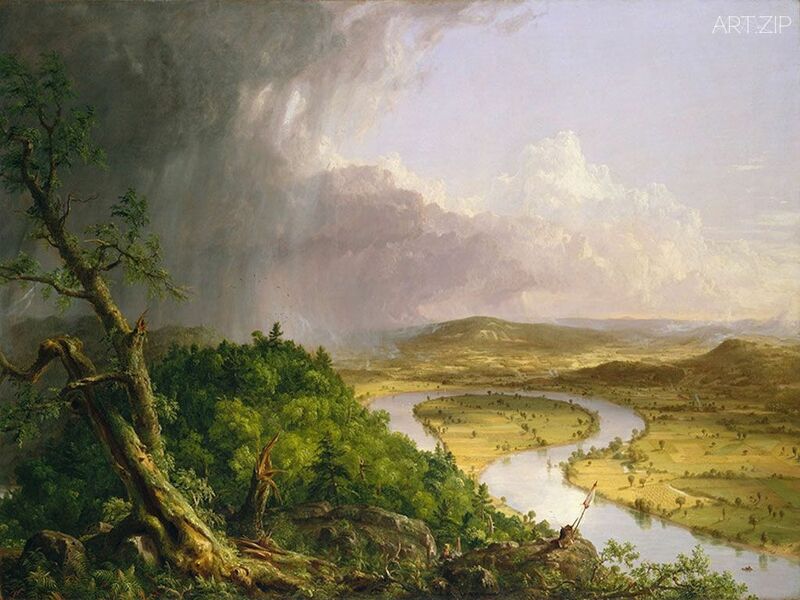 It includes Cole’s iconic painting cycle, ‘The Course of Empire‘ (1834–6, New-York Historical Society) and the masterpiece that secured his career and reputation –’View from Mount Holyoke, Northampton, Massachusetts, after a Thunderstorm – The Oxbow‘ (1836, Metropolitan Museum of Art, New York). 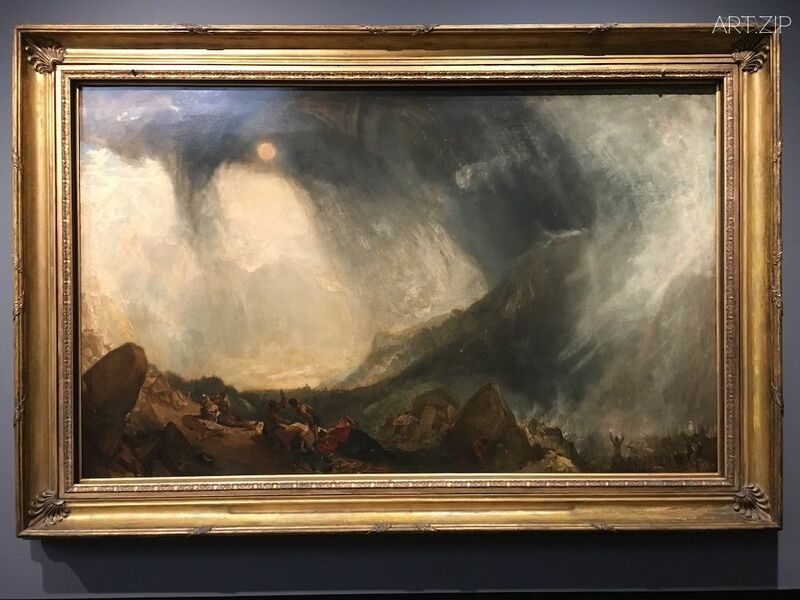 Cole’s paintings are shown alongside works by British artists with whom he was personally acquainted, as well as those who influenced him most, including Joseph Mallord William Turner and John Constable. 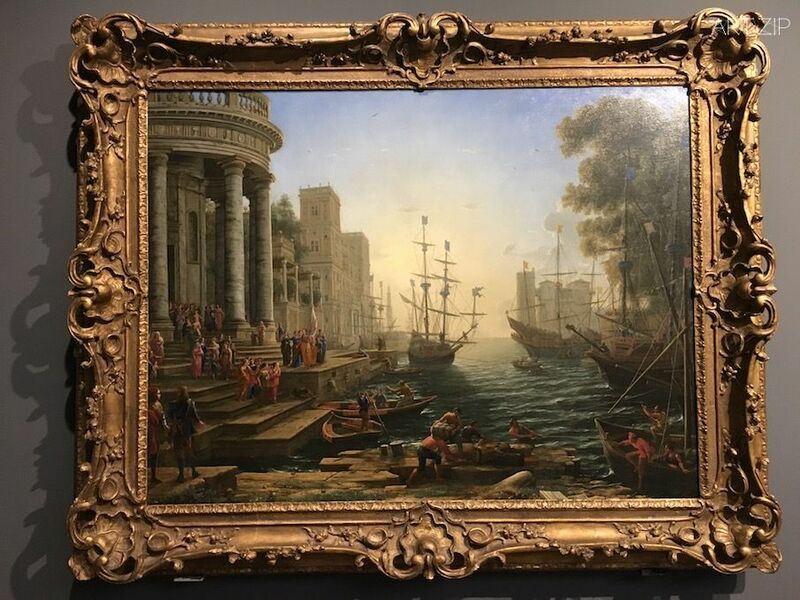 Cole’s career was shaped by his formative years labouring in the textile mills north of Manchester, and by his later study of the European masters whose works he travelled to see in London, Paris, and Rome. 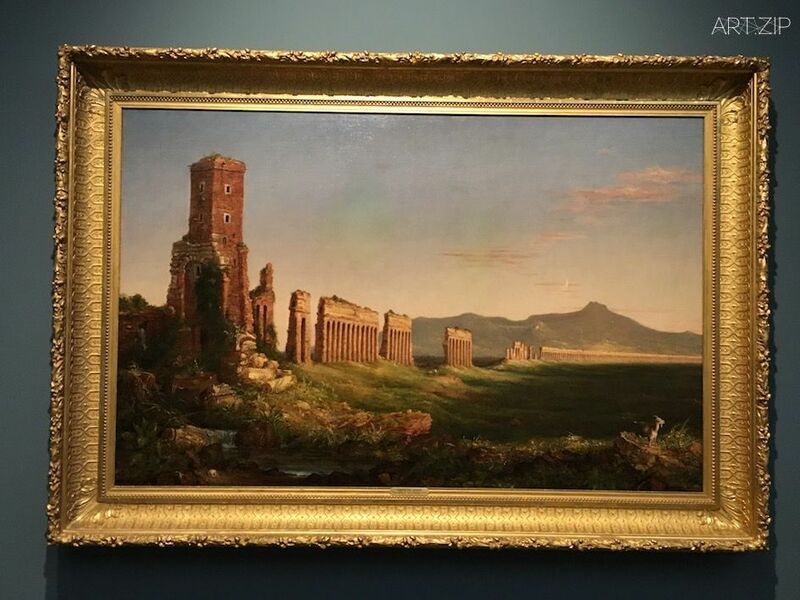 Following his return to New York late in 1832, Cole painted his greatest works in response to his time abroad. 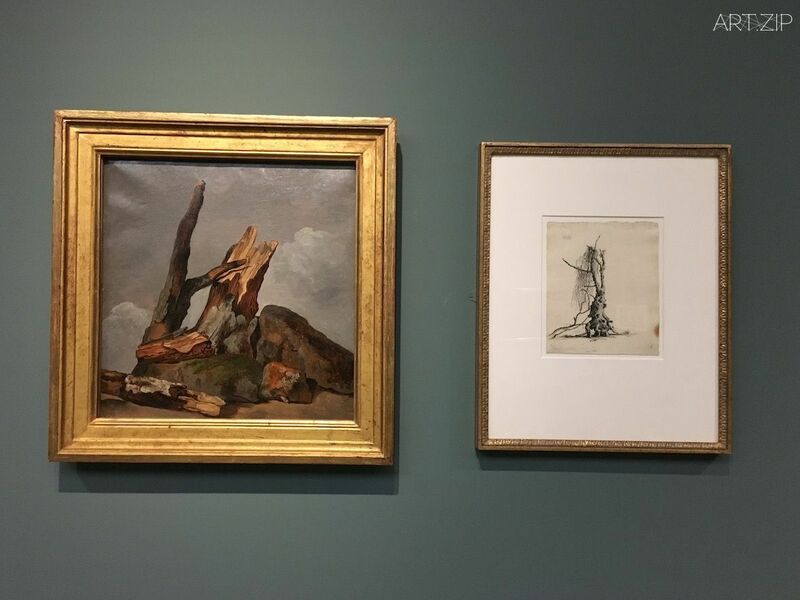 Working from drawings and oil studies, he completed his epic painting cycle ‘The Course of Empire‘ and ‘The Oxbow‘ almost simultaneously in this period – both of which may be seen as the culmination of what he took away from his experiences in London, Florence, and Rome. 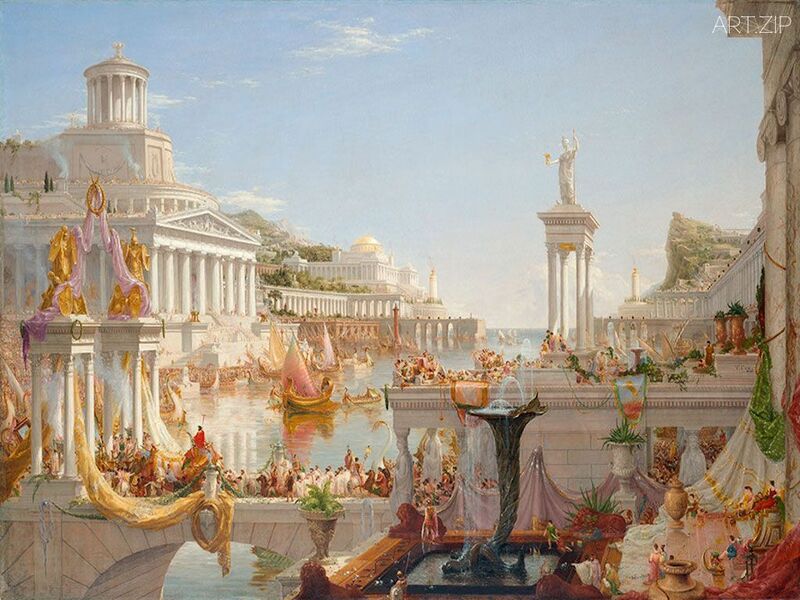 ‘The Course of Empire‘ depicts the rise and fall of an imaginary civilisation in an ancient style. 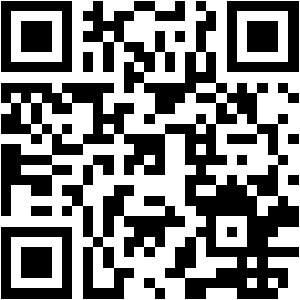 ‘The Oxbow‘ was a challenge to the American public to consider its place in the natural world, and to keep in check the seemingly inevitable drive toward destruction. 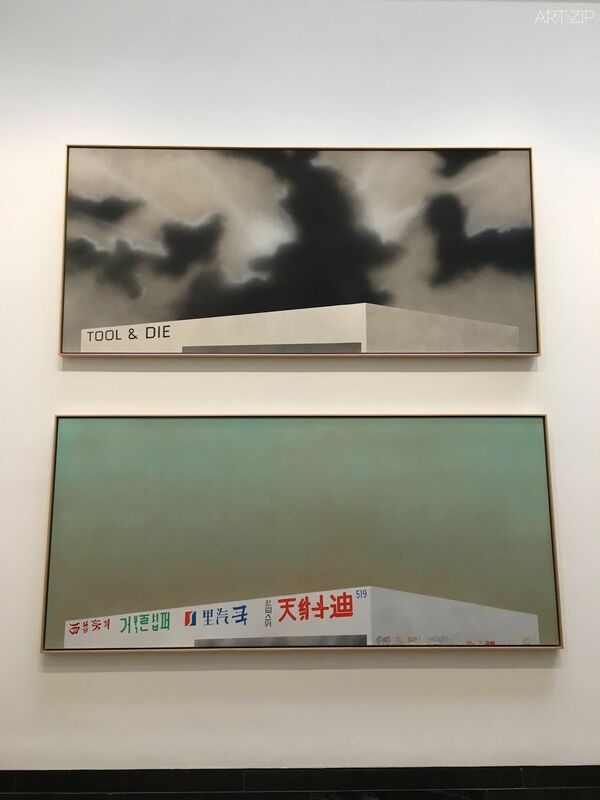 A concurrent exhibition Ed Ruscha: Course of Empire displays a cycle of ten paintings by the renowned Los Angeles artist (b. 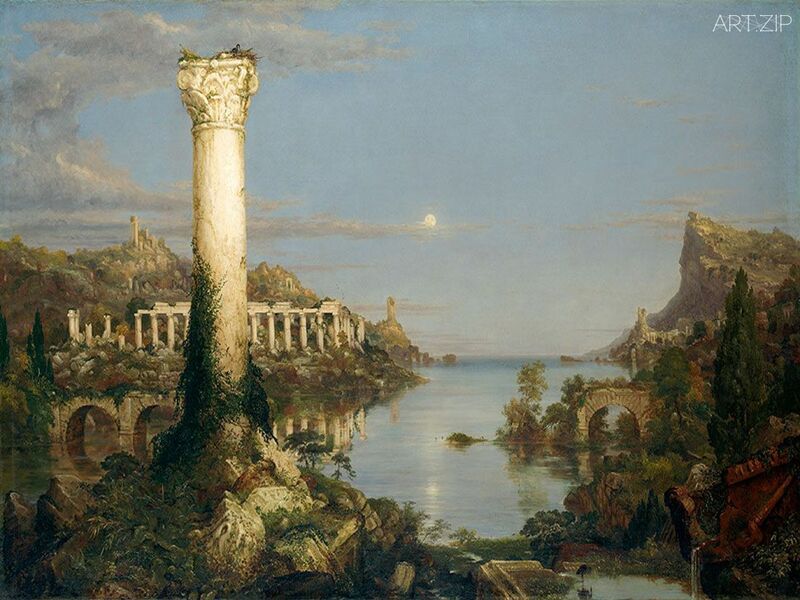 1937), which responds to Cole’s ‘The Course of Empire‘. 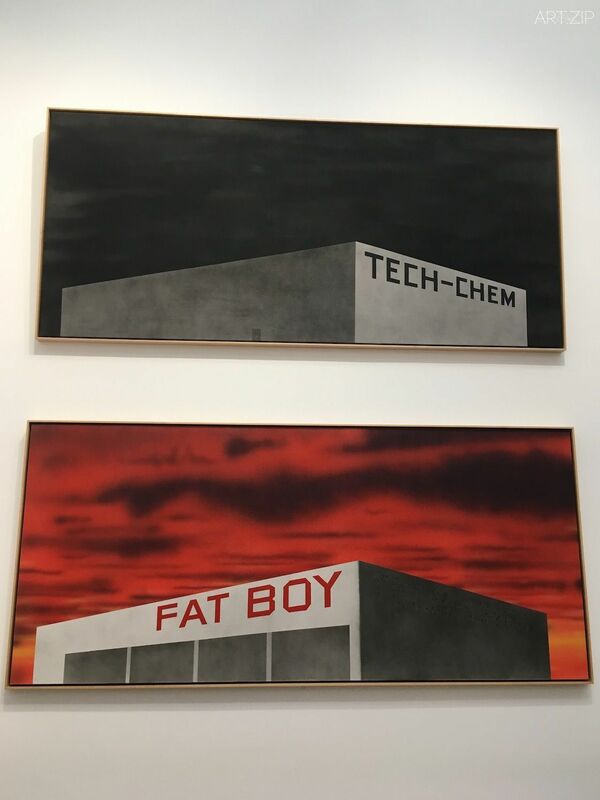 More than one hundred and fifty years later, Ruscha offers a contemporary answer to the questions Cole first raised about the fate of a society out of balance with nature. 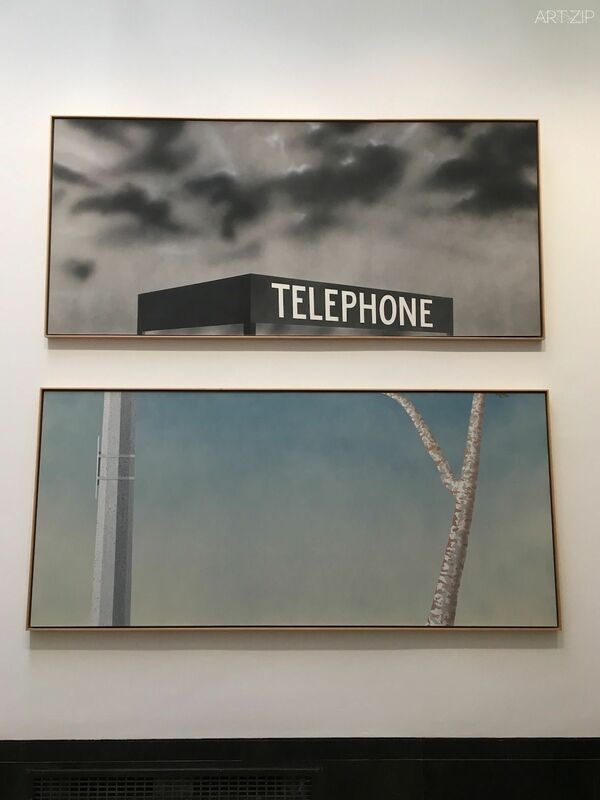 Cole invented a genre of specifically American landscape painting. 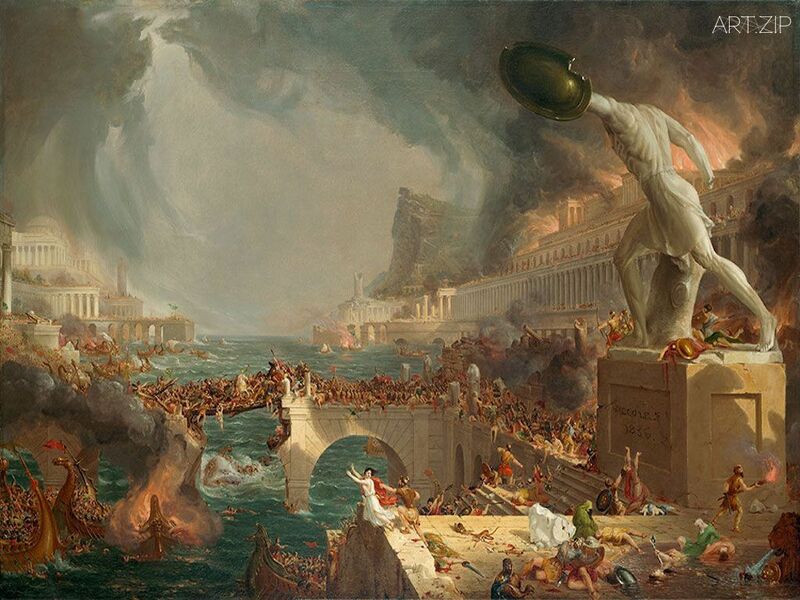 In ‘The Course of Empire‘, he traced the rise, glory, and inevitable destruction of an imaginary civilisation and his series ends in war and destruction. 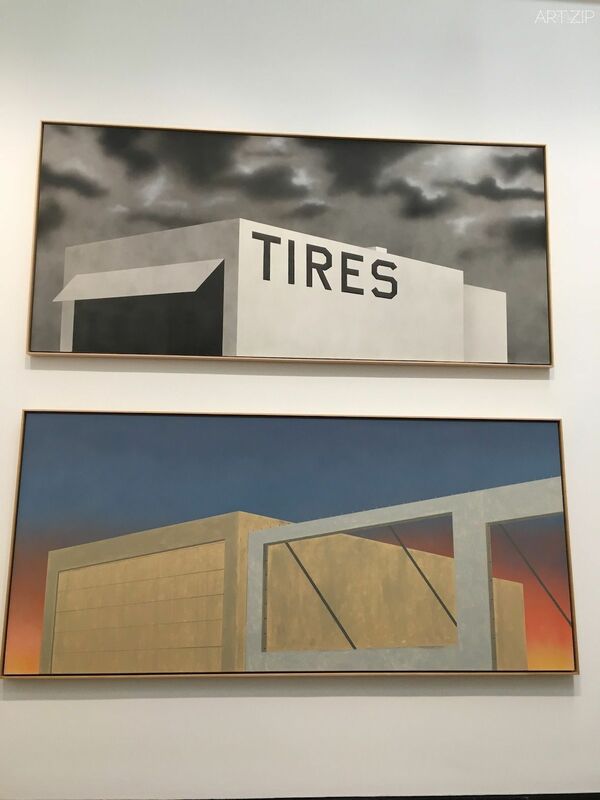 Ruscha also invented a new way of seeing his city and a new American urban landscape tradition. 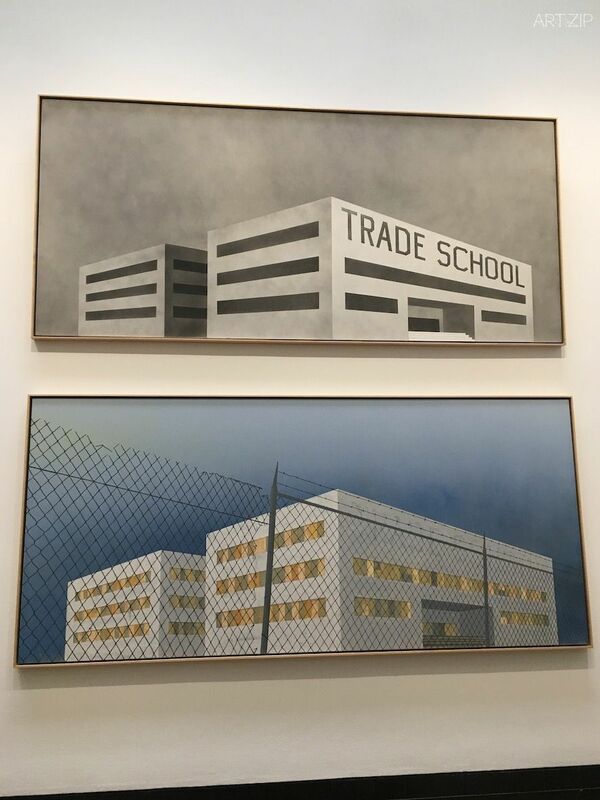 However, unlike Cole’s grandiose vision of the rise and fall of an imaginary classical civilisation, Ruscha’s ‘Course of Empire‘ shows the industrial buildings of Los Angeles – simple, box-like, utilitarian structures with no pretension to beauty, but suggestive of economic impact and global corporate relationships.